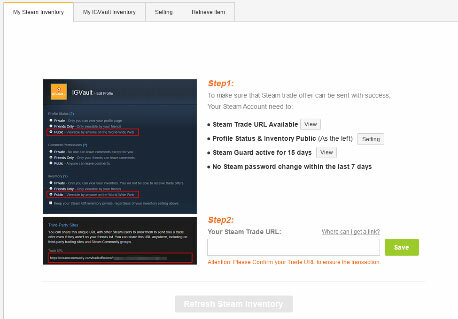 Step 1：Sign in igvault.com through your Steam Account. 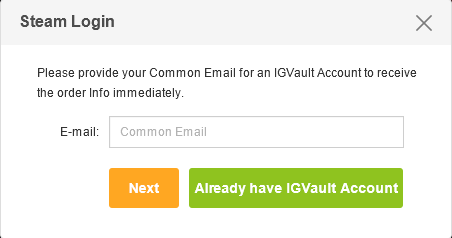 Step 2：Return to IGVault，enter a valid Email，then click “next”.An verification Email will be sent to that email, Please click the link in email to complete the registration process. 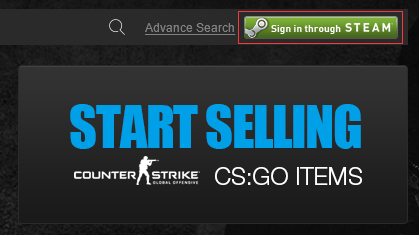 Step 3：After Signed in，Click the START SELLING Button in the upper right corner on CS:GO Homepage. 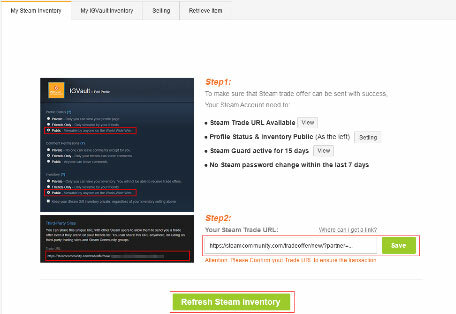 Enter your Steam trade URL, Click “Save” Button ，then Click “Refresh Steam Inventory” Button. 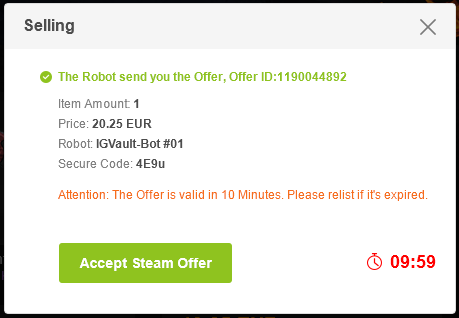 Step 5：After “Refresh Steam Inventory” ， the item，enter the selling price，Then click the “Sell” Button，await Robot response。When Complete，Click "Accept Steam Offer" . 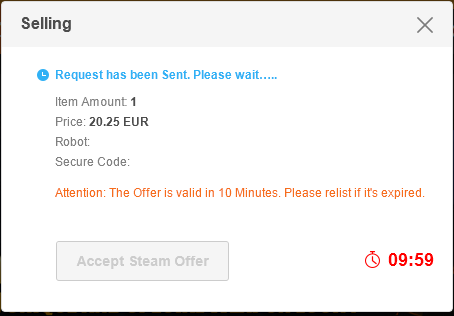 Step 6：Please Accept the offer in steam in 10 Minutes. 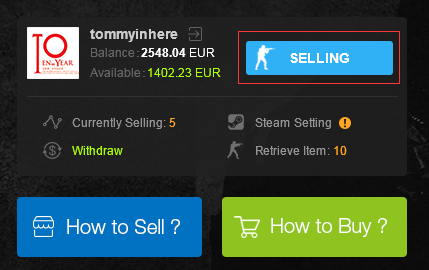 Please confirm the robot account to prevent fraud. 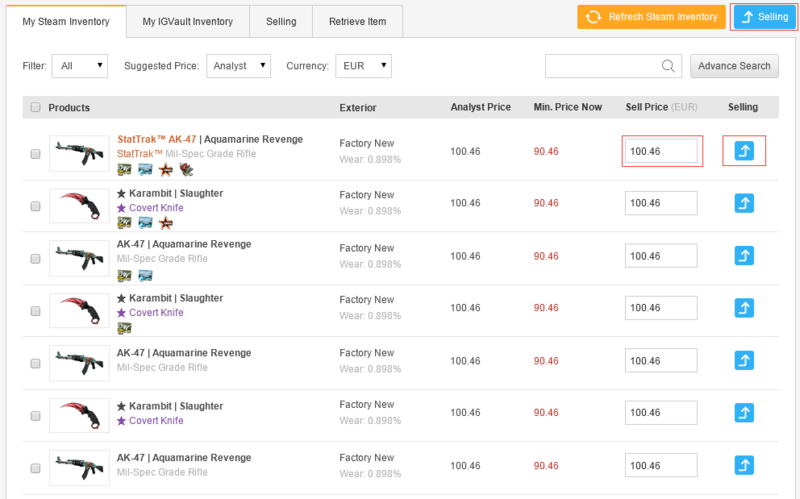 Step 7：After you accepted our offer, you may check your item status under tag "Selling".